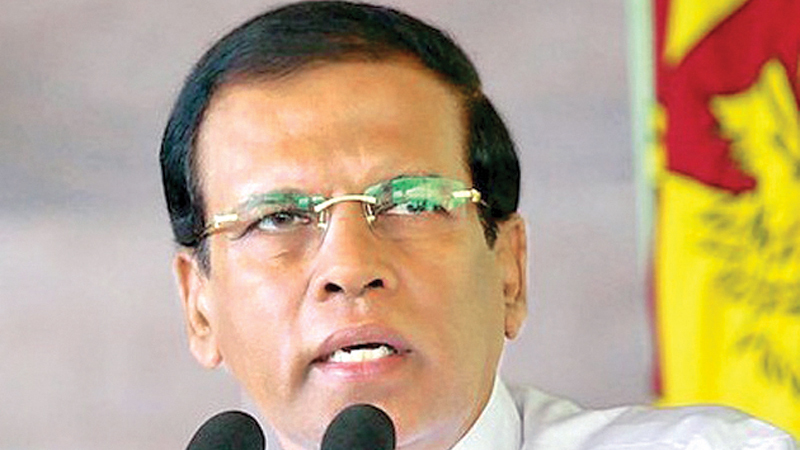 President Maithripala Sirisena said that Sri Lanka has been taking a number of fruitful measures in strengthening the rights of the working community. The President was speaking at the 100 year celebrations of the International Labour Organisation (ILO) at the Nelum Pokuna Theatre yesterday. “Sri Lanka is one of only two countries from the ILO’s 187 member states to be selected for a live 24 hour “Global Tour” of national celebrations to mark the ILO’s 100th anniversary. The President noted that the government has paid utmost attention to ensure the rights privileges of the working class. The President said that he is happy to address the ILO’s 100th anniversary celebrations. “The ILO has been standing for protecting workers’ rights and creating a better working environment,” he said. The President pointed out that Sri Lanka is the first country in South Asia and the second country in Asia which signed the Forced Labour Convention to tackle forced labour in Sri Lanka. In 1950, Sri Lanka ratified the Forced Labour Convention, 1930 (No.29) that calls for the suppression of forced labour in all its forms irrespective of the nature of the work or the sector of activity in which it may be performed. Besides, in 2003, Sri Lanka took a step further by ratifying the Abolition of Forced Labour Convention 1957 (No 105). The Forced labour Protocol (P29) complements the convention by adding new elements such as addressing root causes so that forced labour can be eliminated once and far all. The President praised the invaluable service of ILO members throughout the world in protecting employees’ rights while ensuring a proper and better working environment during a century. “Sri Lanka has been performing as a member country of the ILO since we joined the organisation in 1948. The Lankan government will maintain its’ cordial rapport with the ILO further aiming to assist the working community,” the President added.